We carry both 8′ x 8′ and 12′ x 12′ textiles in all the most useful materials. If you want to soften and diffuse light, silks are the textiles to use. Full silk reduces light by 1.6 stops, half silk reduces it by 1 stop and also introduces ambient light. 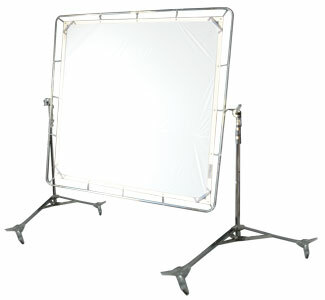 If you want very soft diffusion, no ambient light and to reduce the light by .6 of a stop, quarter silk will do the job. 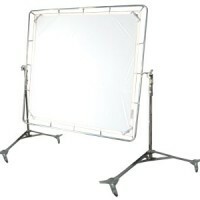 Grid cloth comes in a full version that reduces light by 2.6 stops and is a durable choice if you need very heavy diffusion. 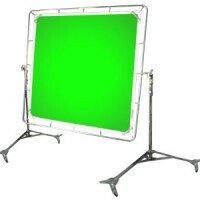 For a lighter diffusion and a light reduction of .6 of a stop, ask us for grid cloth 1/4. 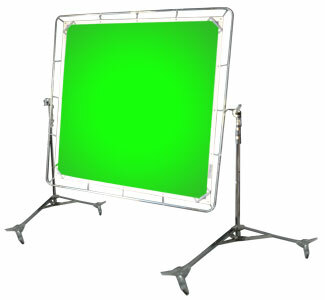 If you want to cut unwanted light completely we can hire you blackout or if you need textiles for special effects we have green screens. 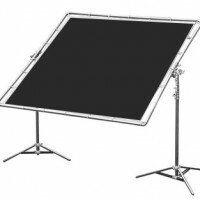 In our range of reflectors we include simple bleached and unbleached muslins for flat white or warm white reflection and grifflon which has a soft white reflector on one side and a flat black on the other. We also carry the ultrabounce. 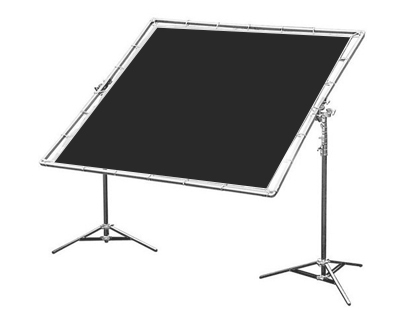 Our textiles fit onto our range of folding frames so that they’re easy to set up and put away. thanks for forwarding on information about the Film Lighting Textiles.